Apartments For Rent in Lowell MA. Live in a historic National Park along the Merrimack River and steps to the best restaurants and cafes in Lowell. Choose from our two distinct buildings where you’ll find our classic style at Boott Mills East or our Luxe Loft Style in Boott Mills West. 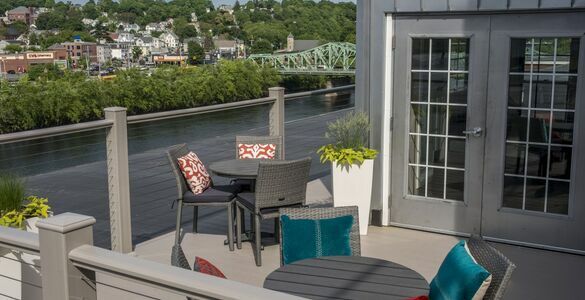 The Apartments at Boott Mills is located in Historic Downtown Lowell, MA and offers unique apartment living with full amenity package including our observation roof deck, courtyards with lounge seating, fitness center, media room, wi-fi lounge and more! Residents enjoy dramatic interiors and unparalleled lifestyle amenities, just 30 minutes north of Boston. Apartment interiors feature original wood beam ceilings, exposed brick walls, tall windows with dramatic Merrimack river or city views. 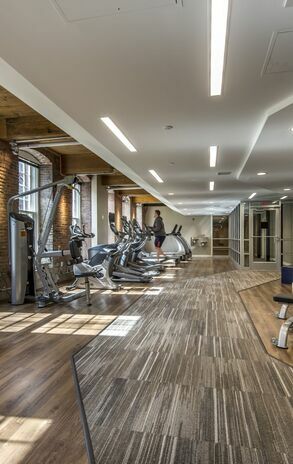 Each building features distinct features: Boott Mills East kitchens feature new renovations with stone counters, wood plank flooring and a modern look and feel. Boott Mills West interiors feature sleek white stone countertops, a stainless steel appliance package with gas range cooking and pendant lighting over the breakfast bar. All apartments have unique architectural details and ample closet space throughout and most homes feature in home laundry. Want to enjoy luxury living in this historic location? Contact us today. 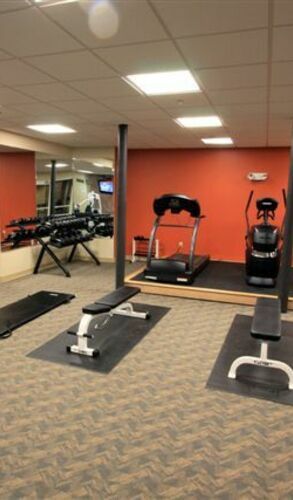 View our available floor plans now to learn more! 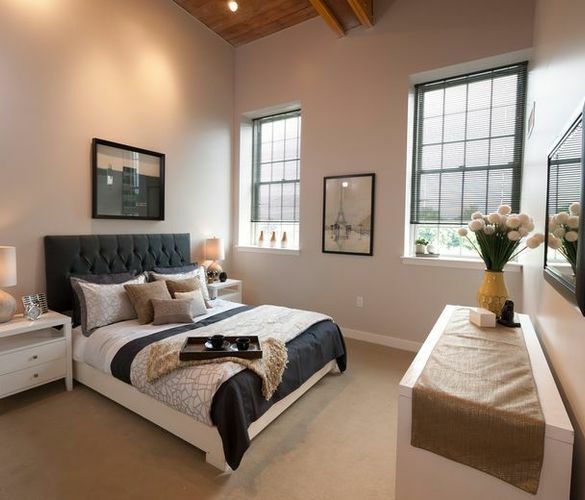 Apartment interiors feature original wood beam ceilings, exposed brick walls, tall windows with dramatic Merrimack river or city views. 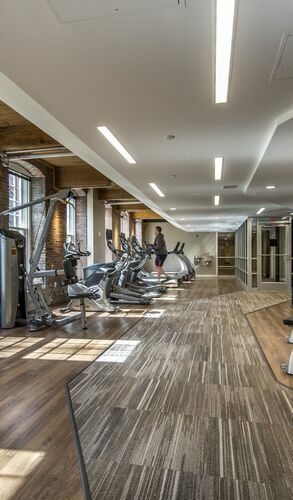 Each building features distinct features: Boott Mills East kitchens feature new renovations with stone counters, wood plank flooring and a modern look and feel. 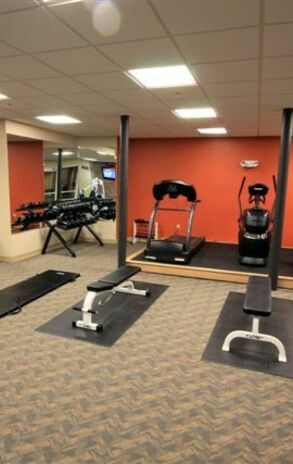 The Apartments at Boott Mills is located in Historic Downtown Lowell, MA and offers unique apartment living with full amenity package including our observation roof deck, courtyards with lounge seating, fitness center, media room, wi-fi lounge and more! Residents enjoy dramatic interiors and unparalleled lifestyle amenities, just 30 minutes north of Boston.